Whatspp is a popular messenger that is being used by over 500 million individuals with billions of messages being exchanged on daily basis. Today's stroll, I would List the top 10 certified figures of the whatsapp messengers. Your shares and tweets are very well recommended to this topic. NB: We don't garantee you a 100% accurate data in the figures listed below, but it's close to accuracy. 1. The Founding of Whatsapp Messenger was made in the year, 2009. 2. The Number of Monthly whatsapp users is over 500 users. 3. 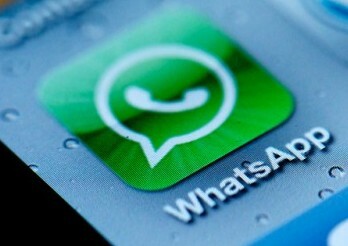 70% of Whatsapp Monthly users, makes use of the messenger daily. 4. Over 1Million Newly registered whatsapp users, daily. 5. Over 19 Billion whatsapp messages, sent daily. 6. Over 34 Billion messages recieved by whatsapp daily. 7. Whatspp also records the most messages processed in a day with over 64 billion messages. 8. Over 700 million Photos shared on whatsapp daily. 9. Over 200 million voice messages sent via whatsapp daily. 10. Over 100 Million video messages sent via whatsapp daily.